Going on a first date can be very exciting, but it can also be very nerve wracking. If you were the one who asked out the other person, or you’re being set up on a blind date and you get to pick the restaurant, it’s important to choose a spot that shows you want to enjoy good food and have a good time. If you or your date love Japanese food, Moto-i is a perfect choice. We can make sure you have the best food and drink in front of you, and that you receive the best customer service in downtown Minneapolis. However, how the rest of the date goes is up to you! 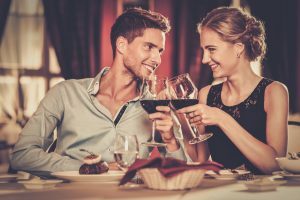 In this blog, we’ll look at some tips for a great first date. You might be nervous about your first date, but that doesn’t mean you should keep quiet the entire time. You don’t have to carry the entire conversation, but be ready to talk about something. Asking your date about where they grew up or what they like about their job can usually be safe places to start. You don’t have to put on a formal dress or a tux and tails, but it’s important to dress for the occasion. 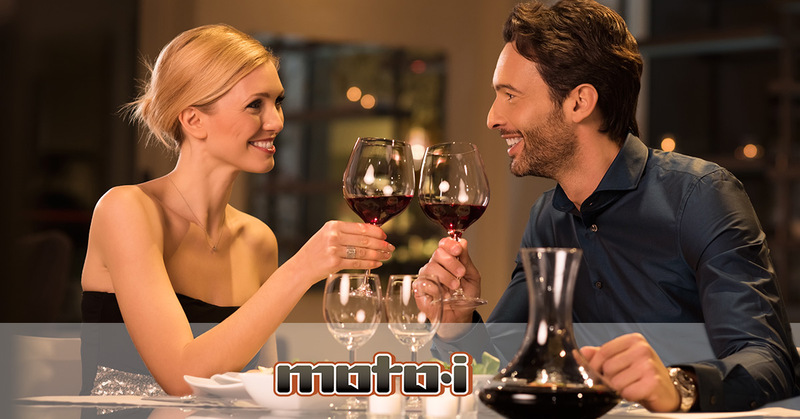 We strive to provide a fun and somewhat casual atmosphere at Moto-i, and swinging by a day or two before your date can give you a good idea of what attire will be best. You don’t want to show up under- or overdressed for your date, and you want the other person to feel that they picked an appropriate outfit as well. We know that you may have a dining and entertaining budget you try to stick to each month, but if you asked out the other person, it’s important to be okay with splurging. The awkward conversation that can come up when the bill arrives can be avoided by politely telling your date that dinner is your treat. You don’t have to go overboard and order every appetizer and dessert on the menu (this can send an entirely different message), but it’s okay to order things you normally wouldn’t. If you’ve never had Japanese cuisine before and your waiter or waitress suggests a dish, it’s okay to show some spontaneity and order it. You don’t have to be overzealous just to impress the other person, but if you’re up for something different, it can show that you don’t always stick to what’s familiar. This can also lead to a conversation starter when you get your food and the other person asks how it tastes. Dating can be tricky, but with the right atmosphere and right attitude, you can have a successful first date. You may not go out with that person ever again, but you can enjoy delicious food and have good conversation for the hour or two you are together. If you’re going to ask someone out for the first time, impress them by bringing them to our Japanese restaurant!